All treated 2×8, 2×10, and 2×12 must be ground contact. All 2×4, 2×6, and 5/4 decking must be ground contact when used in ground level decks, freshwater docks, and boathouses. Ground contact material will be required in all installations within 6″ of the ground. Ground contact material will be required in the following applications without fail: beams, joists, posts, and ledgers. Ground contact material will be required in areas frequently wetted due to wind or wave action, watering systems, pools, and hot tubs and areas where there is a buildup of vegetation or leaf litter. Any lumber used in applications where airflow or drainage is poor. This treatment change is being pushed down from the treatment manufactures as they continue to change their warranty on treated wood claims. Above ground contact lumber will still be available on a special order basis, but will have extended lead times. We are in the process of converting our inventory of lumber and decking to ground contact treated lumber. As we sell out of the above ground contact material in the above dimensional lumber, it will be replaced with the ground contact material. Hot-dipped galvanized connectors and fasteners are still recommended to be used. 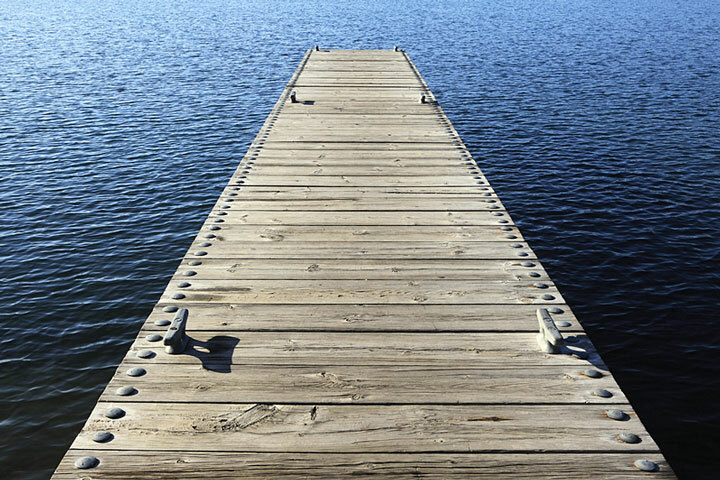 Stainless steel is recommended for docks and areas where submersion of water is likely.